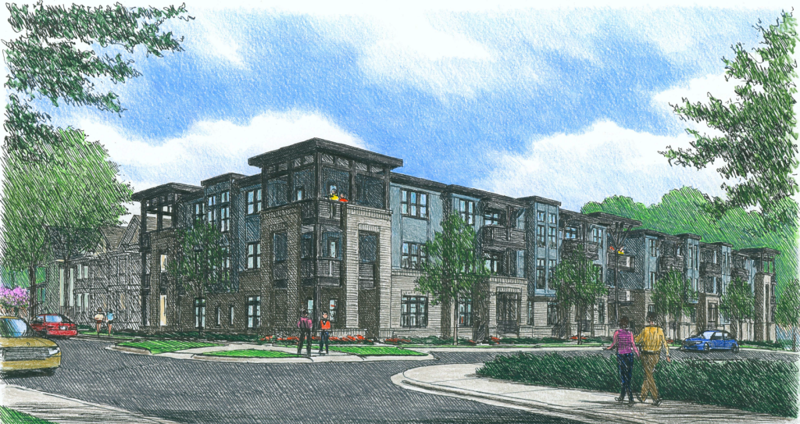 Description: Three story, 61,800 sf wood frame condominiums (48 units) over PT podium parking. Conventional light frame wood construction with wood truss floor and roof framing in combination with LVL and sawn lumber. Podium to be post-tension slabs with drop caps. Lateral system is wood structural panel shear walls above and concrete shear walls below. Cast-in-Place foundation walls, stair and elevator walls below the podium level and CMU stair and elevator walls above the podium level.